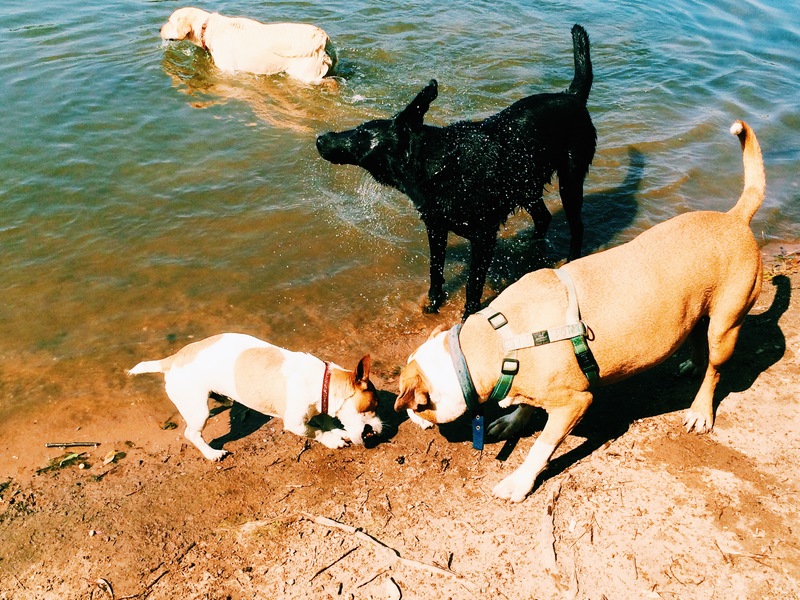 Dog Walkers Johannesburg – It was an exciting morning for all the pups involved. The two young Labradors, Molly and Sam, are so full of energy, and so taking them to the park is just what the doctor ordered! They can run and play in a safe environment that is so much fun for them! They also get a chance to socialise with the other dogs – Duke, Ozzy and Roxy. They always have a grand time swimming in the dams and chasing each other across the fields that the park has to offer. 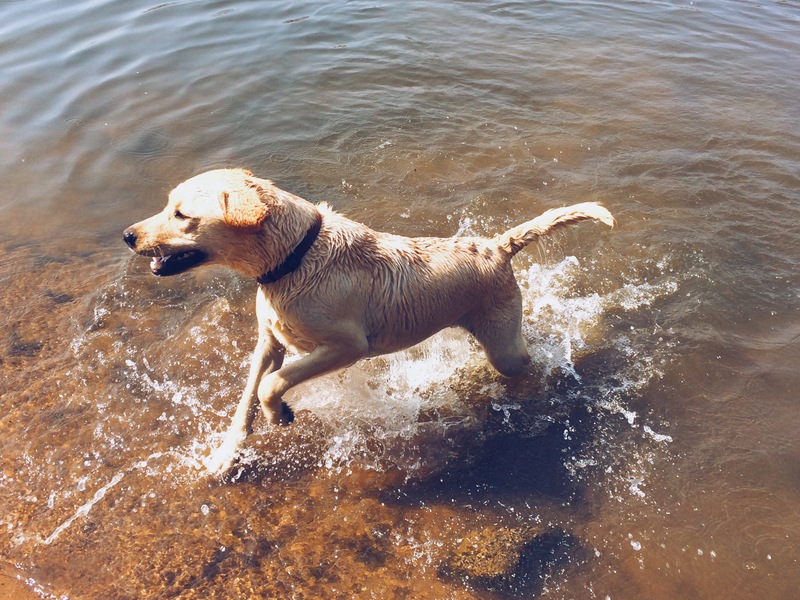 Molly likes to explore the waters and swims for long stretches, while Sam will splash and play by the shore. They are always very well stimulated after a trip to the park, and very happy about life! Labrador Retrievers are waterproof. Their double coat is a distinctive feature – the soft undercoat is weather-resistant and acts as an insulating layer that protects the dog from extreme cold, from getting wet, or from any type of terrain or ground cover while the dense straight outer coat is coarse reinforces the coat’s waterproof quality. The soft undercoat also allows the body’s natural oils to repel moisture. Labrador retrievers also shed their coat. Although they don’t shed as much as German Shepherds or Alaskan Malamutes, they shed their coat twice a year in a process which is called “blowing” their coat. 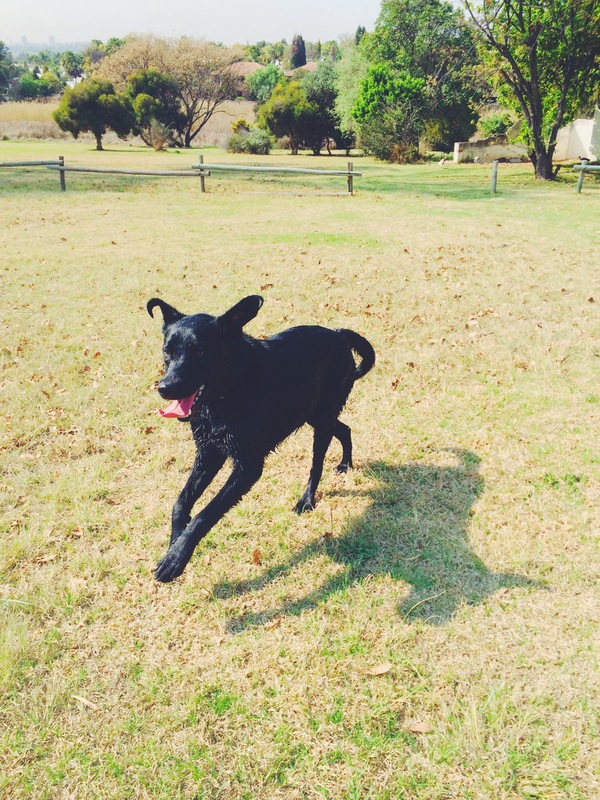 This entry was posted in Dog Walking and tagged #YourHound_SA, city streets, Dog walking, dogs, exercise, fit, fun, happy, Happy Dogs, healthy, Joburg streets, Johannesburg, Pets, Socializing, Sunny Johannesburg. Bookmark the permalink.